There are many reasons why a couple will file for divorce. The love isn’t there anymore, a tragic happen between them, lack of communication, growing apart, infidelity, incompatibility and so on. Once the divorce is final, there are situations when one spouse wishes for a do-over. Probability after talking and realizing that there is still a chance. Undoing a divorce decree is another messy process, but it can be done. One method to undo the divorce decree is through an appeal. An appeal is asking a higher court, Arizona Court of Appeals, to reverse a couple of points of the trial court’s decisions. The appeal will need to be filed 30 days after the trial judge’s ruling is filed with the clerk of the court. The average 20% of all appeals are reversed. Which means that most appeals are unsuccessful. The ruling, decision, findings of fact, or judgment is not justified by the evidence or is contrary to law. This motions is executed before the appeal. It must be filed within 15 days after the decree is filed. 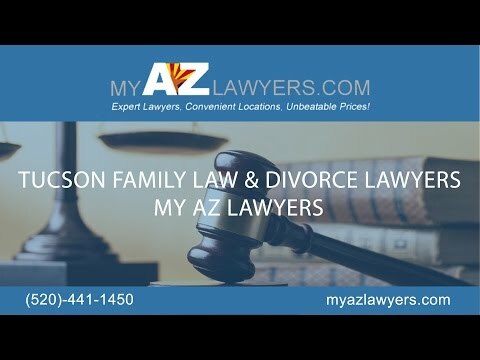 The motion for new trial or amended judgement, or Rule 83 of the Arizona Rules of Family Law Procedure, is the initial step in undoing an unfavorable divorce decree. The is because it starts the system, giving you time to file an appeal. If the motion is not successful, there is time for an appeal. The ruling is confusing or susceptible to more than one reasonable interpretation. To proceed with this motion, is mainly based on any of the first three grounds that are stated above. It has to be filed within 30 days after entry the order. To address number four, anyone from the party or court can set it on motion at any time. This motion, Rule 84 of the Arizona Rules of Family Law Procedure, is advisable to file if there is no attention in filing for an appeal. Any other reason justifying relief from the operation of the judgment. This motion, Rule 85 of the Arizona Rules of Family Law Procedures, the deadline is more liberal than those for motions under rules 83 and 84. Filing this motion, Rule 85(C)(1) is the last resource because the deadlines for the other motions have expired. Rule 85(C)(1) has to be filed within six months. In order for this motion to be successful, the case will be examined and give guidance on what kinds of facts and circumstances may support it. Getting a divorce is messy, and it messy undoing a divorce decree. However, there is no mess that the attorneys at My AZ Lawyers office can’t handle. If you need a divorce lawyer in Mesa, call us at 480-833-8000 or search our website at MyAZLawyers.com.